Our lawn mower hire services are designed to beauty to our customers’ lawns. A well manicured lawn is desirable in all lawns. 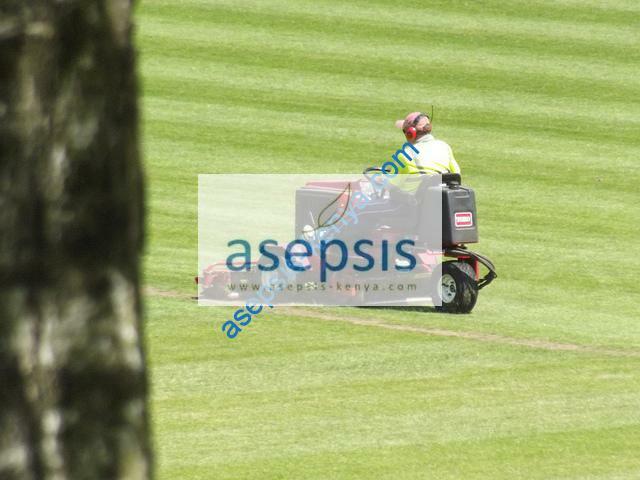 Asepsis Limited will provide lawn mowing services to ensure that your lawn remains neat at all times. Contact us for lawn mowing and for lawn striping services. lawn striping gives makes a lawn look like a professional sports pitch. Contact us on 0792764947 and we will provide a well serviced machine as well as an experienced operator. This will ensure a perfect job. Lawn mowing requires skill to ensure the best results. Control weeds before regularly and do not allow them to seed. This will avoid spreading of weed seeds. Read more on termite control services . This is a common problem in lawns.